When a flight is canceled, every passenger has certain rights, and the company that makes the crossing, takes on responsibilities to meet those rights. All of this is governed by EU Directive 261, adopted in Europe in 2004. The passenger of the cancelled flight is entitled to get a refund for his ticket, which he could not make the flight. If the planned series of flights, and all tickets purchased at the airline cancel the flight, the person entitled to claim compensation for other flights too, if now he can't keep up. Also, the passenger may obtain from the airline free ticket to the departure airport. If the passenger cancelled flight, as often happens, it is first important to get to the destination, and not to receive compensation, he may request from the airline free ticket wherever he wants, just another flight, and at a convenient time. Really comfortable, but with a reasonable position: if you ask for a ticket in a week or month, the airline will probably refuse. Under convenient there is a view that if there is a daily flight that suits you, you can fly them, not the one that is scheduled for early morning. The passenger has the right to make the necessary calls, get free food and hotel room, if necessary. This is done in exactly the same way as if the airline delayed the flight. He also acquires the right to monetary compensation. But there are nuances. If you have been notified about the cancellation at least 2 weeks before your departure date, to claim useless. If the flight for which you received a ticket in return, arrive no later than 4 hours after that was cancelled, the compensation is reduced by half. If you are in an airport and your flight is cancelled, the sequence of steps differs depending on, whether you are a transit passenger. 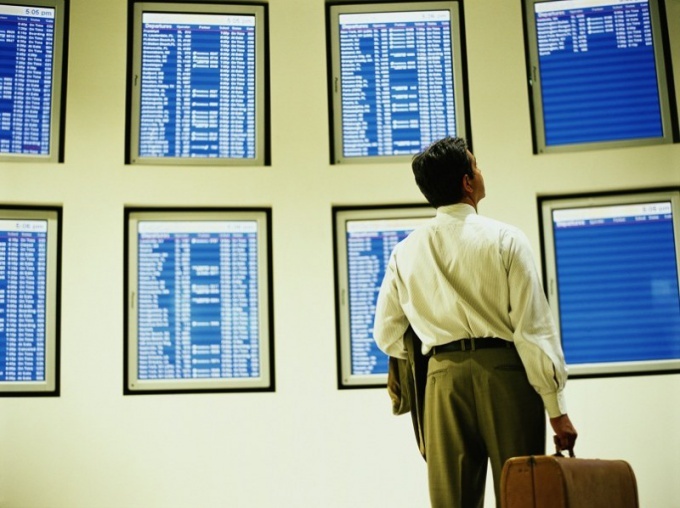 For nontransient passengers should immediately go to the front Desk to ask about the reasons for the cancellation, time for your next flight, find out if the airline you hotel. Immediately need to re-register for the next flight or cancel a ticket. Luggage or preregistered if it has already been either removed from the flight and issued to you. You can give coupons for free meals; if not, you can save all the receipts and to demand their compensation. However, there is a restriction of food must be "reasonably necessary", that is, of the caviar probably will not get you paid. Transit passengers are somewhat more complicated. The main problem is to find a representative of the airline, which is sure is somewhere nearby, if the flight is definitely cancelled. It can be behind the bar (usually the offices of major airlines are in all the big transit airports), at the entrance to a cancelled flight or other way of your flight carrier or in the common room, owned by your company. If you cannot find representative, please contact the security service, which will help you to detect it. The representative will need to re-register on another flight, find out about the hotel and the food, about what you need to reissue the ticket. If you don't have a visa at the transit point, find out what you need to go to the city in case of a long wait for the next flight. Do not let the representative until it meets all your requirements, including not preregistered you and your Luggage will not give you a pillow and a blanket. Also ask the airline representative to issue you a certificate stating that the flight is cancelled, which will indicate the date and time of departure. It can be useful if there is a disputed situation with a refund. A flight was canceled at the last moment? Sadly, the situation is quite common. In this case, the passenger has certain rights to ensure that obliged the airline to provide the flights. First and foremost, if you are not a transit passenger go to the front Desk and find out about the cause of the flight cancellation. Specify the time of the next flight, as well as free provision of hotel, food, phone cards in case of a long wait. If the time of the next departure for you immediately re-register the ticket. Otherwise, ask for a refund. Also re-register or receive checked baggage. Then wait for departure at the airport or go home, if possible. For transit passengers the pattern of behavior is somewhat different. After learning about the cancellation, find the airline representative that in such a situation must be present on the spot. If you can't find it yourself, please contact any officer or airport security. Inquire about the time of the next flight, ask about re-booking a ticket, if you do not have the visa required to enter city, learn about the ability to provide you with hotel, food. 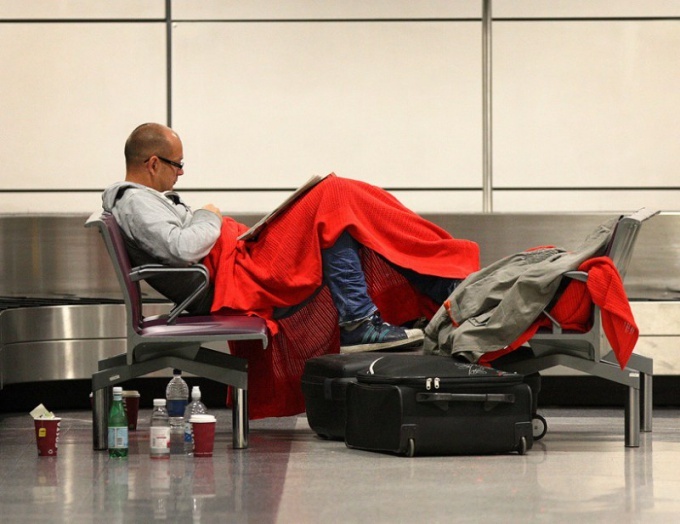 If the wait promises to be long, ask for a pillow and a blanket. Be persistent and do not let the representative of the airline as long as all your requirements are satisfied. Do not forget about the Luggage, reregister or get it on hand. In both cases, be sure to make a note in the ticket about the cancellation, retain all paid in the waiting period checks. They will need to issue a refund. If the airline refuses to provide certain required services, request a certificate of cancellation of the flight or check at the ticket stamped. Make a similar act with the passengers registered on one flight. Help will be needed in the court for registration of the claim. Check out your chosen airline about the procedure and terms of refund in case of delay or flight cancellation. General duties of carriers specified in the rules for all airlines.